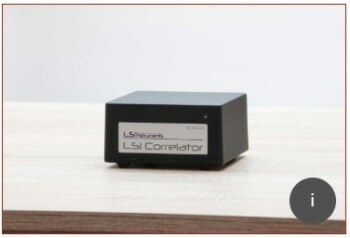 The LSI Correlator is a digital correlator that has been specifically designed to achieve real-time computation of both auto- and cross-correlations as well as photon counting of pulse streams that arise from dynamic light scattering (DLS), diffusing wave spectroscopy (DWS), diffuse coherence spectroscopy (DCS) and fluorescence correlation spectroscopy (FCS) experiments. The advanced hardware behind the LSI Correlator utilizes both multiple-tau (multi-tau) and linear-tau digital correlation algorithms, thereby significantly increasing the lag-time range as compared to that which is achieved by traditional correlators. The LS Correlator is therefore an ideal system for particle size characterization of both fast and slow dynamics samples. 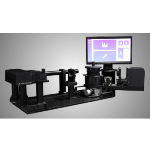 With exceptional qualities including its flexibility, robustness, reliability, and platform portability, the LS Correlator is a powerful stand-alone tool that can be further enhanced through optional customization. Multi-tau Auto- and Cross-Correlation: 16/8 multi-tau correlation scheme, covering lag-time axis spanning from 12.5 ns up to 3436 s by means of 322 channels, therefore covering a time range of 13 orders of magnitude. Programmable fastest lag-time: Users can select the fastest lag-time of the averaged multi-tau correlation functions in order to reduce the presence of statistical noise for signals that do not require the use of the fastest channels. Initial selectable lags include 12.5 ns, 200 ns, 400 ns, 800 ns and 3200 ns. Normalization: Both symmetric and compensated normalization are selectable. 296 monitor channels are available upon 322 total channels. APIs: The LSI Correlator can be accessed through an application programming interface (API) available for Matlab, Communication: The LSI correlator transmits via USB 2.0 and Gigabit Ethernet for remote usage. Optional: Java, LabView, C, C++, C#, Python, etc. Software: The device is accompanied by a user-friendly software for device control and advanced data-treatment when used as DLS correlator (CONTIN, Cumulant Analysis, Exponential Fitting). 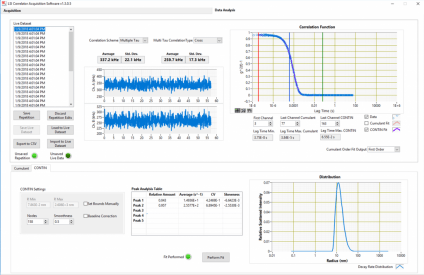 Linear Correlator Software: Starting at 0.4 µs to 12.5 µs sampling time with programmable lag time. Detector Overload Protection: The digital correlator implements a fast gating output that is triggered when the instantaneous count rate exceeds a user-programmable threshold. This functionality is active even when not measuring and helps to protect expensive detectors from unexpected overloads. Synchronization Clock Output: An output clock is available in the event that the user wants to synchronize the correlation function computation with the operation of other hardware components of their experimental setup. 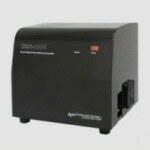 Stable Operation: The LSI Correlator comes with an external power supply for stable and reliable operation. It can recover from communication errors (e.g. host computer crashes, network outages, etc.) without the need to be reset. Upgradable Firmware: This can be achieved within a few minutes, thereby allowing the end user to remain up-to-date with the latest features that have been devised by the LS Instruments team. Maximum Count Rate: 20 Mcps over 52 ms integration interval. Standard count trace sampling time: Approximately 52 ms. 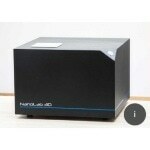 Size: The correlator is housed in a protective aluminum housing, in which the dimensions are 6 x 12 x 12 cm. Linear Correlator Hardware: User selectable lag from 50 µs and multiples of 50 µs. The channel layout is user-programmable over 1024 user selectable lags to be chosen among more than 106 available channels.